Preparing and soaking contact lenses. Keeping contact lenses feeling moisturised. Safeguarding contact lenses from harmful bacteria. Cleaning contact lens cases and accessories. The most important use for the solution is, of course, the contact lens cleaning process. This should take place as you first open the contact lenses and between uses when they have been worn. Wash your hands with unscented soap then dry them thoroughly. Gently Place one contact lens in the palm of your hand. Add some contact lens solution (we recommend using at least three drops per lens). 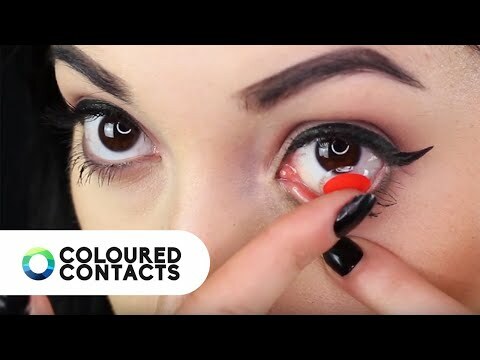 Softly rub the contact lens with the tip of your thumb or finger (even if it says it is a ‘no rub’ solution). This will dislodge any debris and protein. Throw away the used solution. Rinse your lens with fresh solution. Top Tip: Before you begin cleaning your contact lenses make sure you have everything you need nearby to limit the amount of time you will be handling the lenses. Why Use Contact Lens Solution? There are several different reasons for this but before we start there are a few myths we would like to bust. Some people look for alternative lens solutions to use or even ask if it is possible to store contact lenses without a solution. We recommend accepting no substitutes; make sure to always use high-quality cleaning solution. Under no circumstances should you clean lenses with water or saliva. The most important reason for using contact lens solution is the anti-bacterial properties. Not regularly cleaning your contact lenses or using your solution incorrectly can lead to potential health complications that can easily be avoided with proper maintenance and upkeep. During the day your eye will produce proteins and will also pick up dust and debris from the surrounding environments. 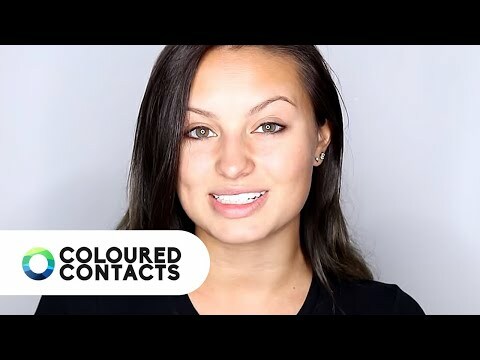 Your eyes can naturally cope with such factors, but your coloured contact lenses will need some extra help to remove these contaminants and to stay clean. Using contact lens solution to clean your lenses will wash away any unwanted build-up and debris. This, in turn, prevents them from potentially harbouring bacteria and unwanted extras. Your contact lenses will feel more comfortable to use if they are regularly cleaned and cared for. Our own premium contact lens solution is here to help with all of your contact lens cleaning needs. It not only can help you keep your contact lens clean but also feeling fresh and healthy. Keeping your lenses hydrated is very important; especially if you have dry eyes. Contact Lens Solution – this type of solution contains anti-bacterial properties and will have a pH that closely matches your eye. This should be used for cleaning and storing contact lenses. If you have sensitive eyes then know that most brands have an alternative sensitive eyes option. Be sure to check contact lens solution ingredients for more information. Hydrogen Peroxide Solution – some types of solution can contain hydrogen peroxide to provide a deep clean when the contact lenses are being stored. Make sure to follow the instructions carefully with this type of solution as you will need to know how to neutralize hydrogen peroxide contact lens to ensure that no hydrogen peroxide comes into contact with the eye. Saline Solution – Saline solution does not contain anti-bacterial qualities. It can be used to keep the eye hydrated or it can be applied to your contact lenses to keep them moist. If you have any further questions about contact lens solution or other aspects of contact lens care and use then take a look at more of our dedicated guides. 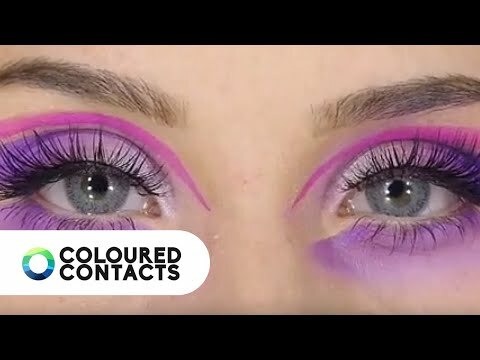 Get to grips with using contact lens solution to best clean and care for your coloured contact lenses.